Yelling won’t get your boyfriend to start talking to you again. When your boyfriend shuts you out after a fight, it can be confusing and hurtful. It can also be almost impossible to know what to do about it. Assess his issues and your own honestly and objectively to try to determine why he's giving you the silent treatment. Then you might have a shot at figuring out how to move past it. Some guys are not good communicators even in the best of times. After a fight, your boyfriend might have no idea what to say or how to say it. If you know that he struggles with saying what he means, then realize that now he might be avoiding saying something wrong or hurtful by not saying anything at all. You may have to gently restart the conversation. Let him know it's safe to talk to you. Make sure he says what he needs to say without interruption. If you have noticed passive-aggressive behavior from him toward you or other people, he might be trying to manipulate you. Not speaking to you is a powerful way to get you to submit to what he wants. If you are left feeling blamed or like you have to do all the work to make things right, he probably is manipulating you. In that case, it is time to rethink the relationship. This type of behavior can be a warning sign of potential abuse. In his article "The Silent Treatment: When People Leave You Guessing," Jeremy Sherman, Ph.D., says that staying silent is a way to claim innocence regardless of guilt. Your boyfriend can deny contributing to the problem by simply doing nothing. That's pretty immature; it is the emotional equivalent of taking the ball and going home. If it's a tactic he employs often, it may be time to find someone more on your emotional level. If your boyfriend used to talk to you after a fight but doesn't anymore, consider that the problem might be you. 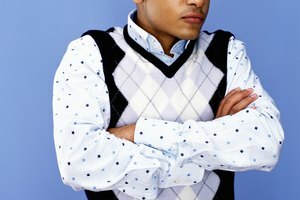 Lauri Puhn, author of "Fight Less, Love More," notes in a Huffington Post article that a man will learn to stay quiet to avoid an escalation of the quarrel. This is usually because his partner won't let it go after he feels the argument been sorted out or constantly interrupts him and rarely lets him finish a thought. This back and forth is exhausting, so he surrenders by shutting down. It's easier on him to have his partner mad at him for not talking than it is to try to talk. If this is the case, you should learn to dial it back and listen more. What Does It Mean if Your Girlfriend Still Wants to Talk to You After Breaking Up? Smith, Sharideth. "What if Your Boyfriend Won't Talk to You After a Fight?" Synonym, https://classroom.synonym.com/boyfriend-wont-talk-after-fight-21888.html. Accessed 22 April 2019.